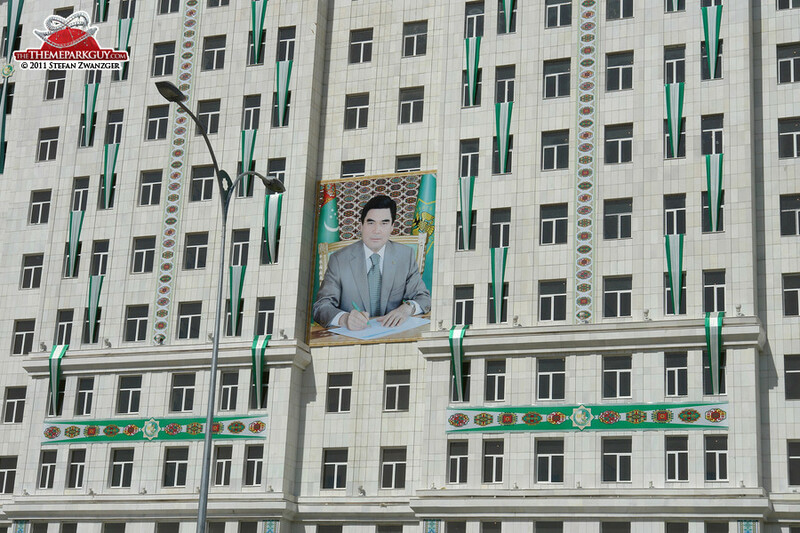 Turkmenistan's capital Ashgabat is one of the most depressing places I have ever visited. 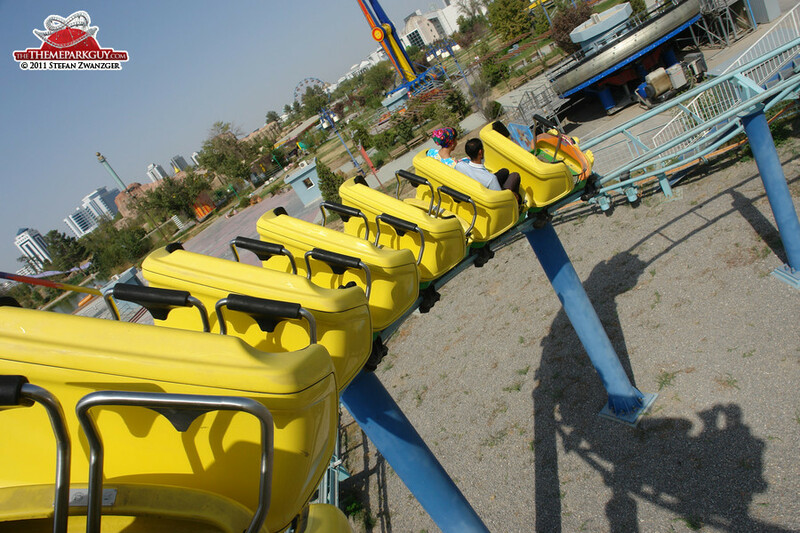 It looks like Pyongyang after a revamp attempt, and boasts the street life and vibrancy of Disneyland after closing hours. 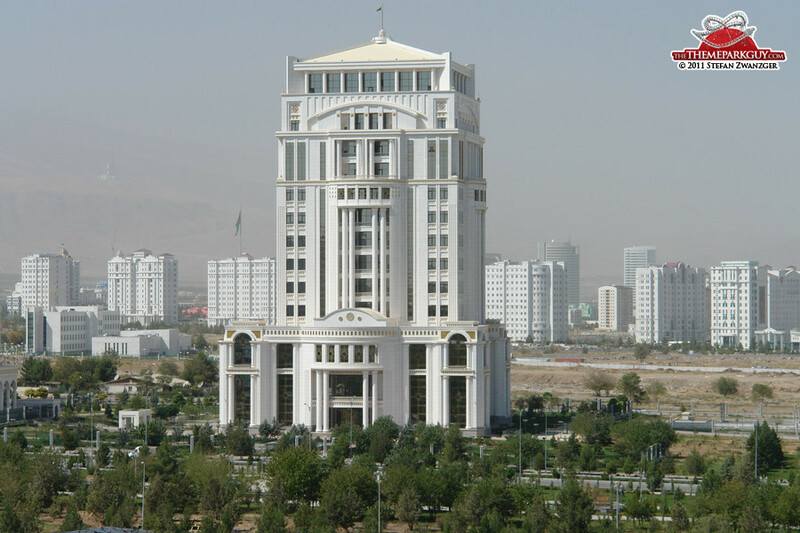 Old, ugly buildings from the Soviet era are being torn down and replaced with new, pompous, yet equally uninviting white marble superstructures; and every other one of these strange, empty-looking Italian marble-clad swanky edifices in this deserted capital is a ministry. 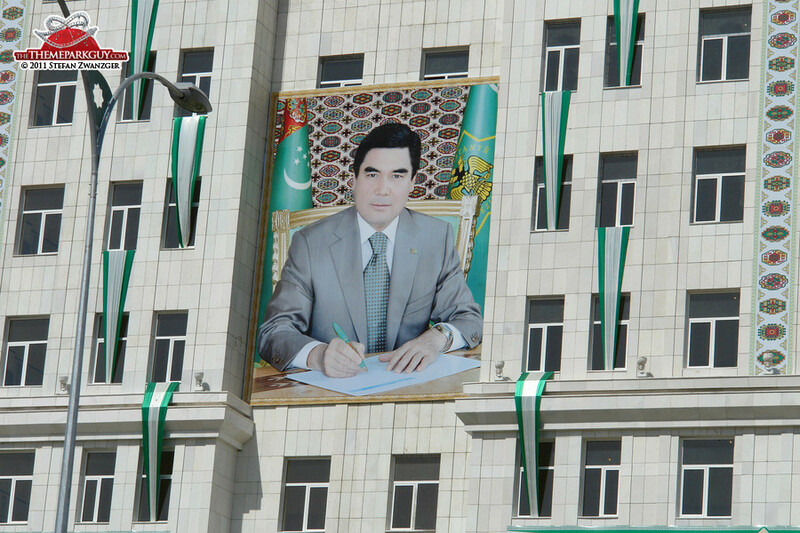 Above all, the kindhearted-appearing, yet penetrating eyes of Turkmenistan’s second president seem to be ubiquitous, mercilessly looking down on you from walls, buildings, landmarks and hanging carpets, in always the same portrait photo. 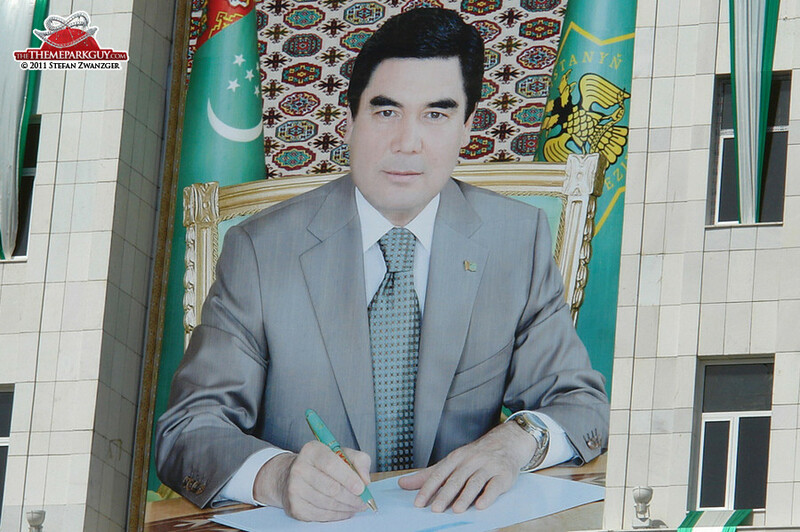 I spent days in Ashgabat where I saw more presidents than people! 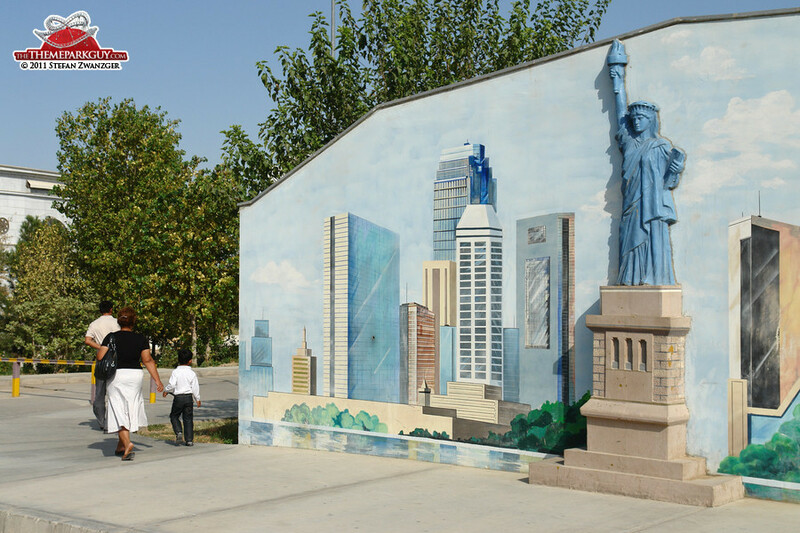 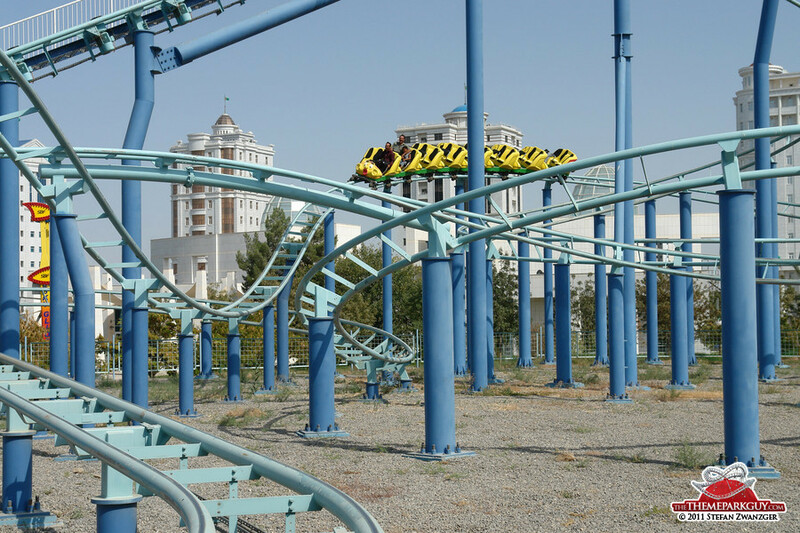 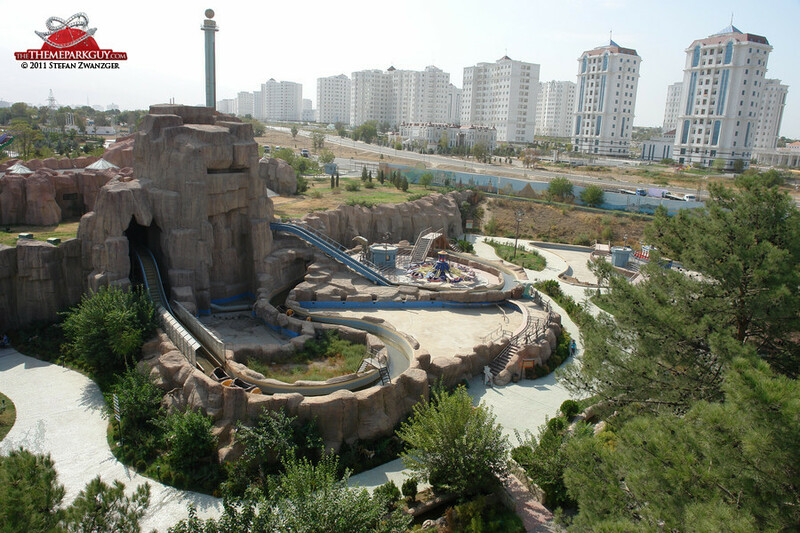 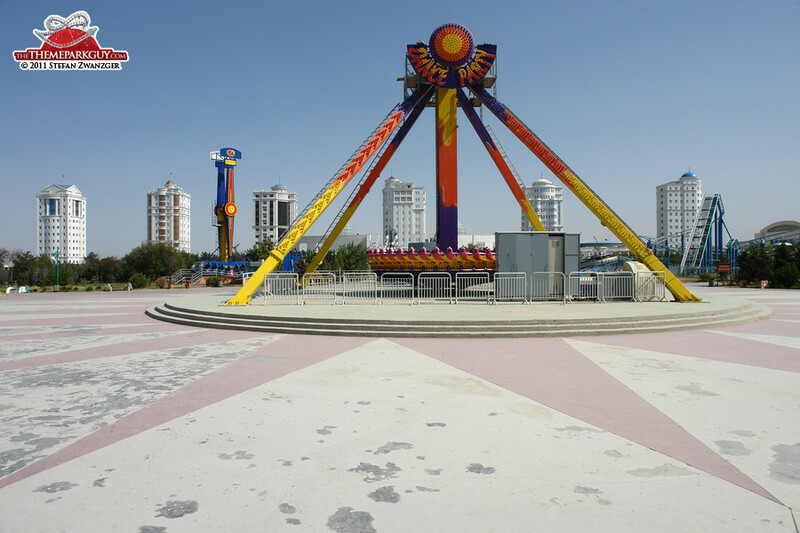 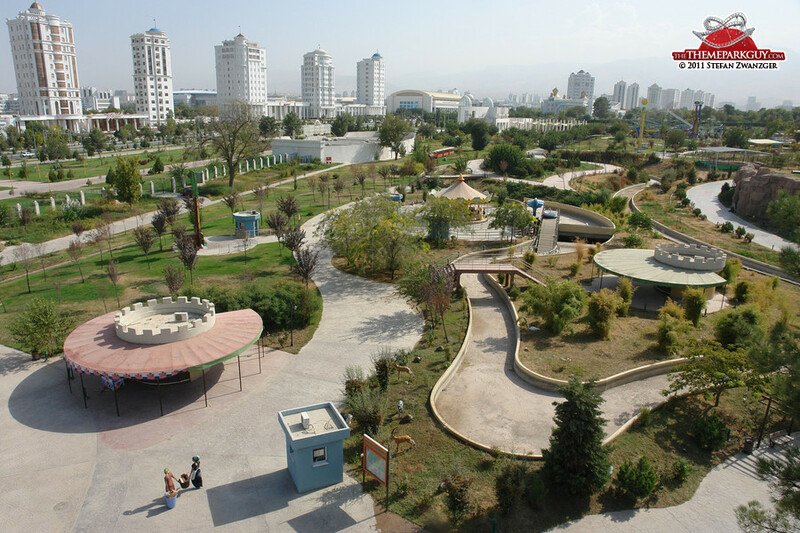 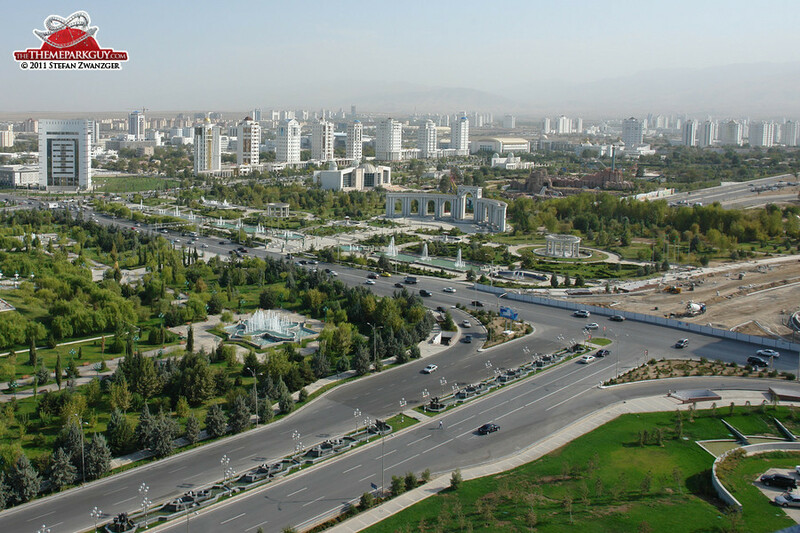 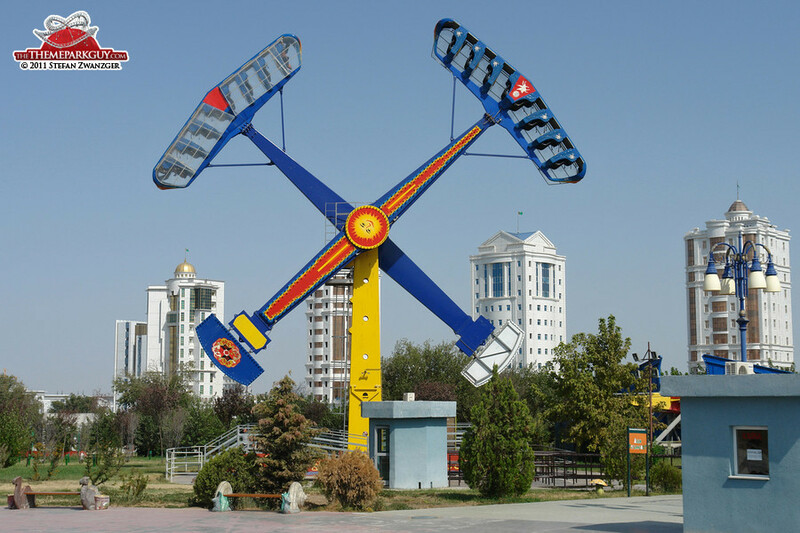 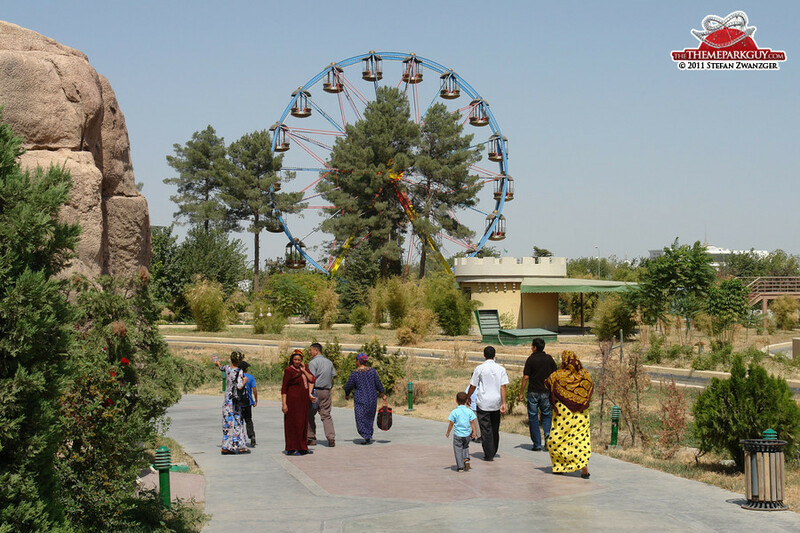 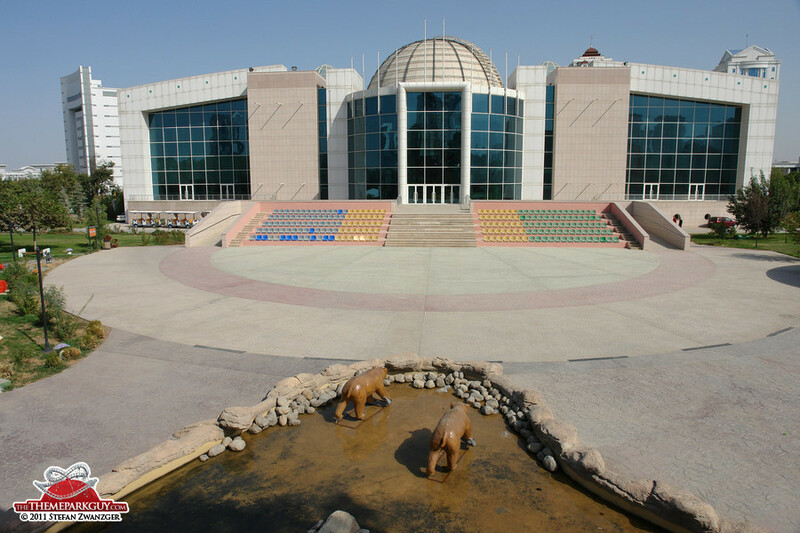 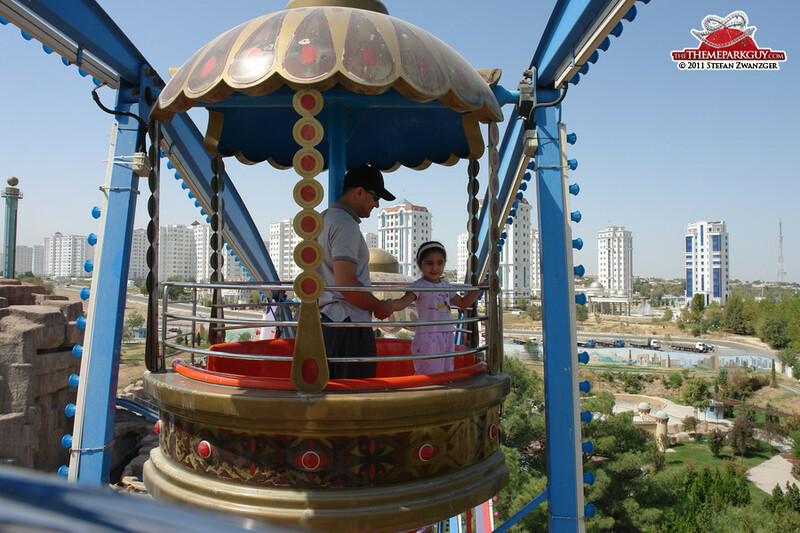 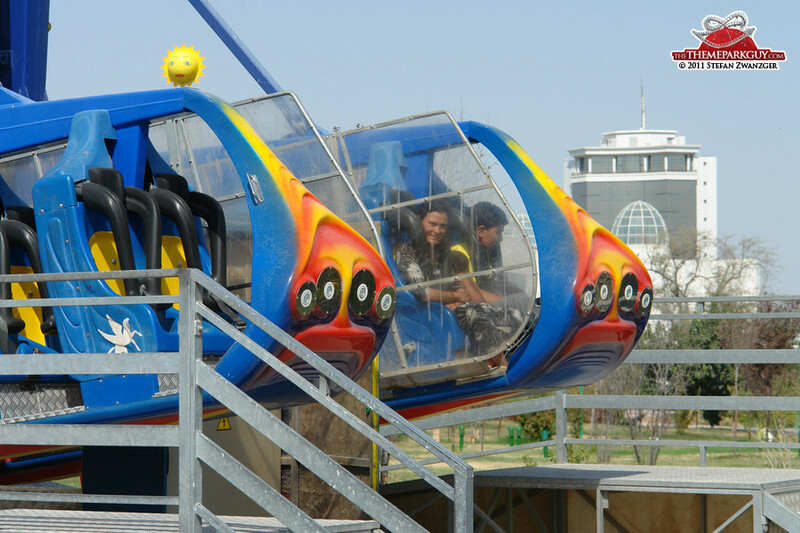 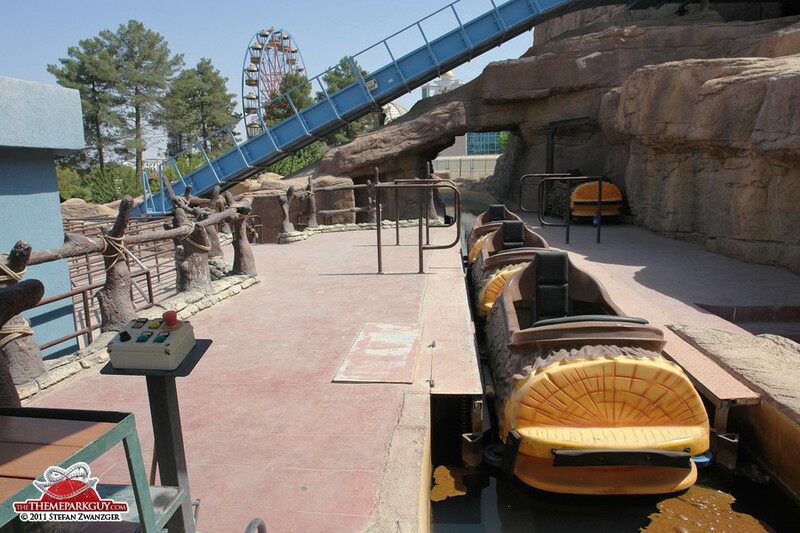 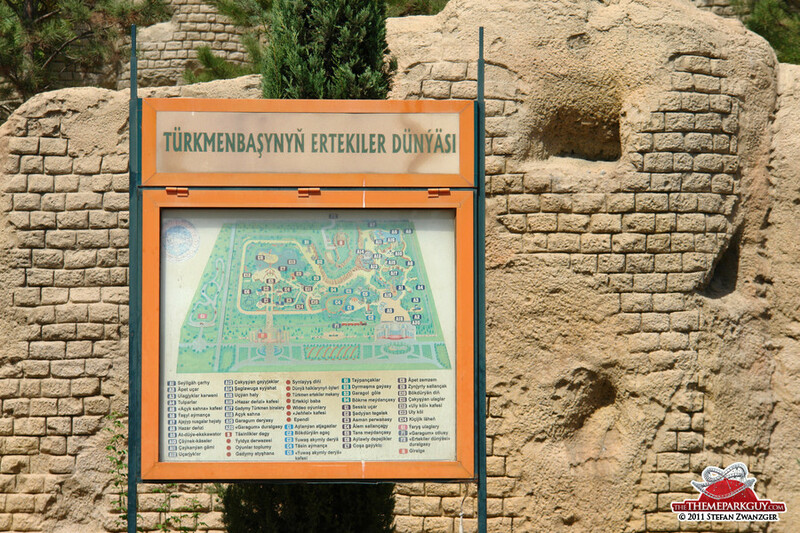 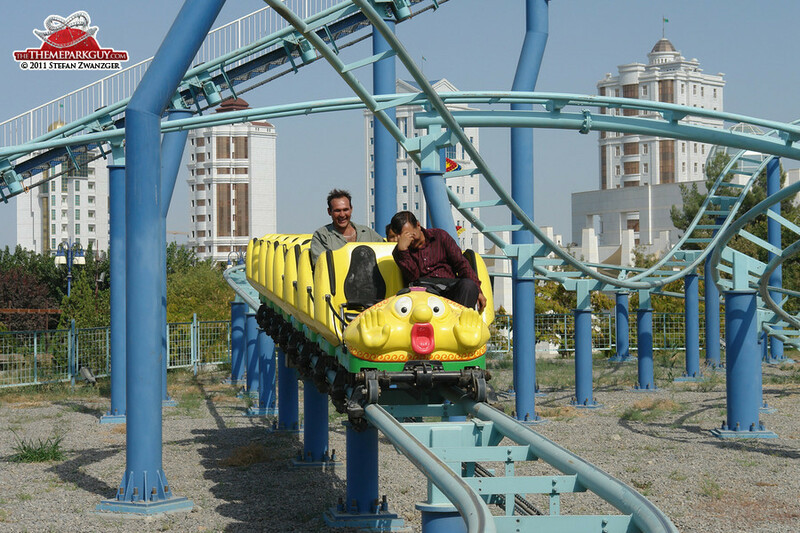 Located in the very center of it all resides the recently opened (2006), but already half-neglected theme park called “Turkmenbashi’s Land of Fairy Tales”. 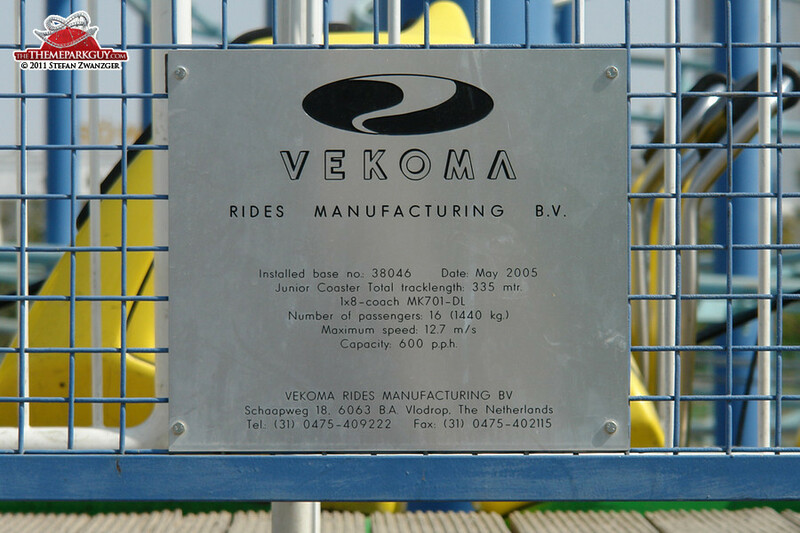 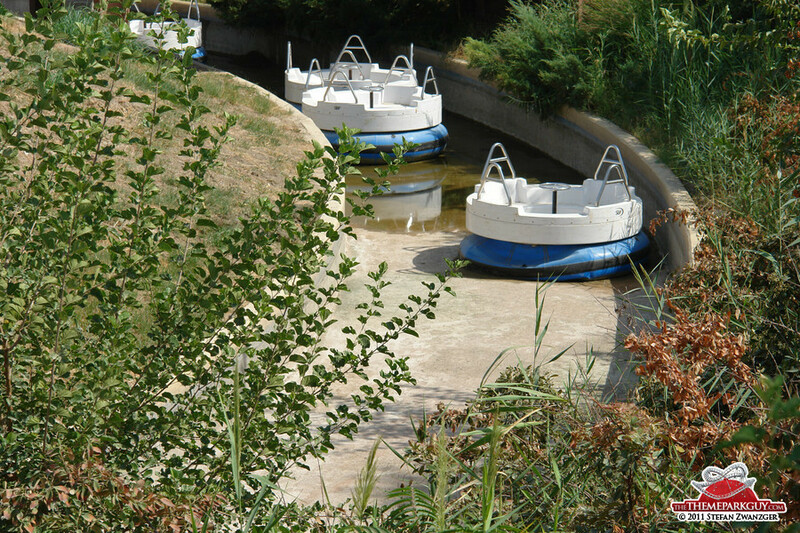 It flaunts a flume ride through a mountain (not operating), a river rapids ride (not operating), a small, Netherlands-manufactured roller coaster (operating), an indoor walk-through attraction with animatronics depicting local fairy tales (operating, and not bad) and an arena for shows (not showing). 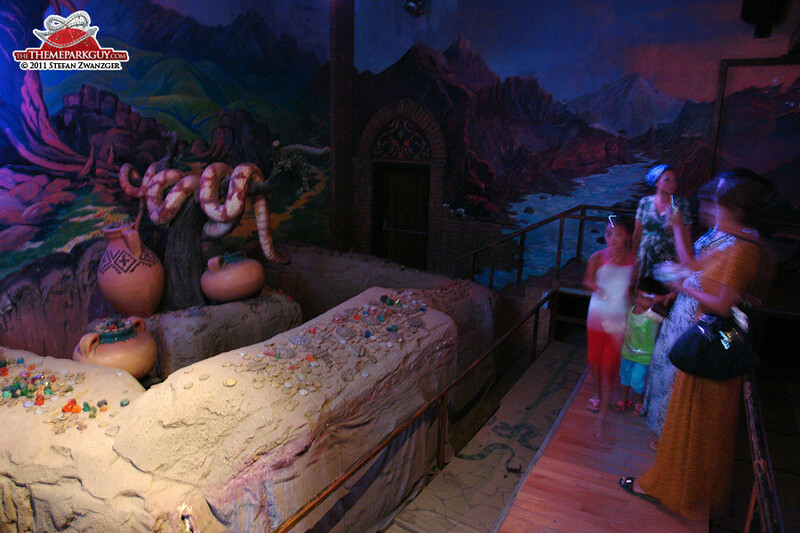 Visitors were a rare sight. 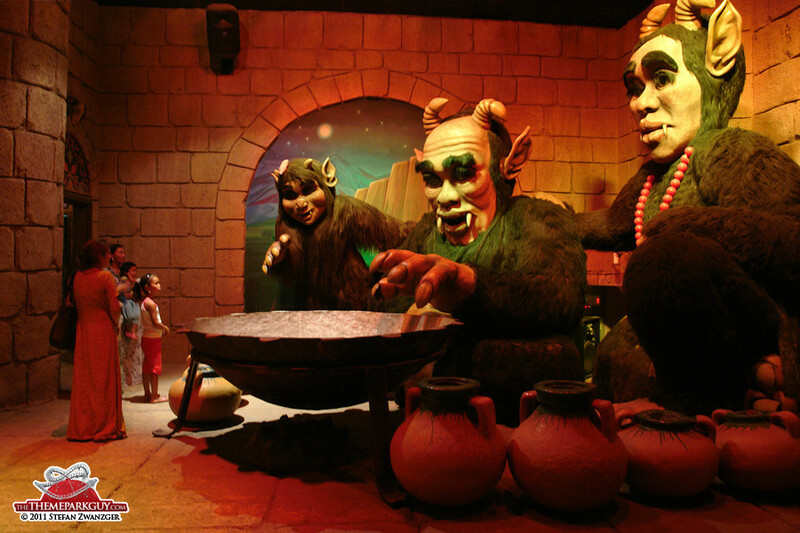 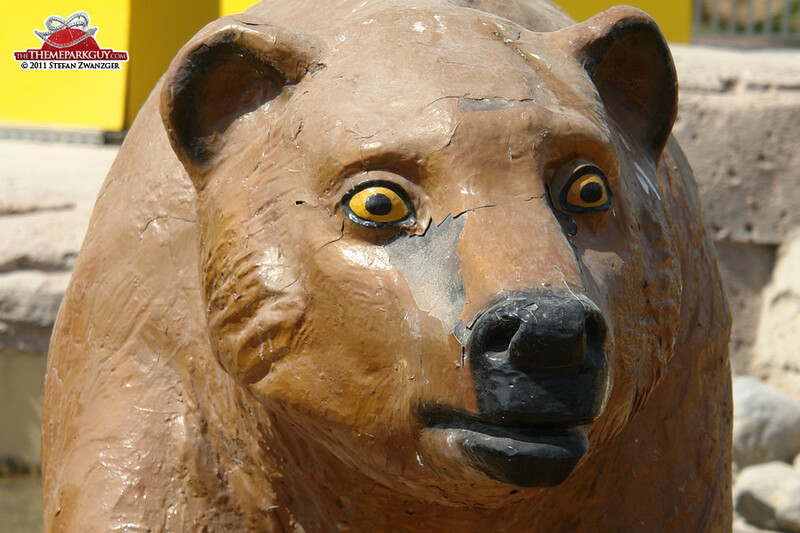 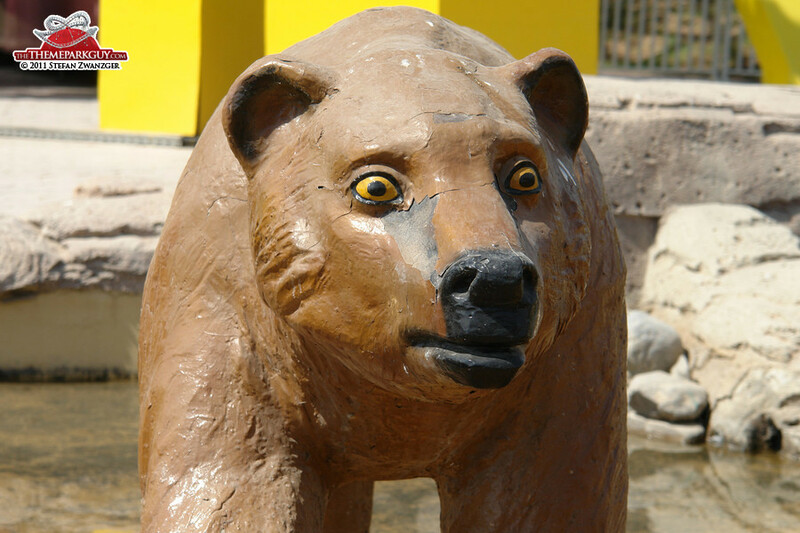 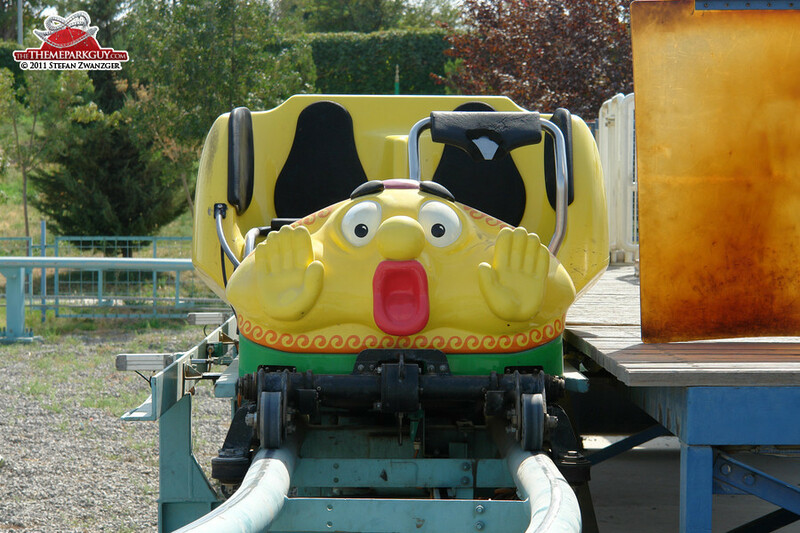 Theme parks tell a lot about the countries they are in.